Home / Gaming / JADE is Moving! All of my minis individually wrapped and ready to go! It has been a little quiet around JADE recently, and that's largely because I'm moving. 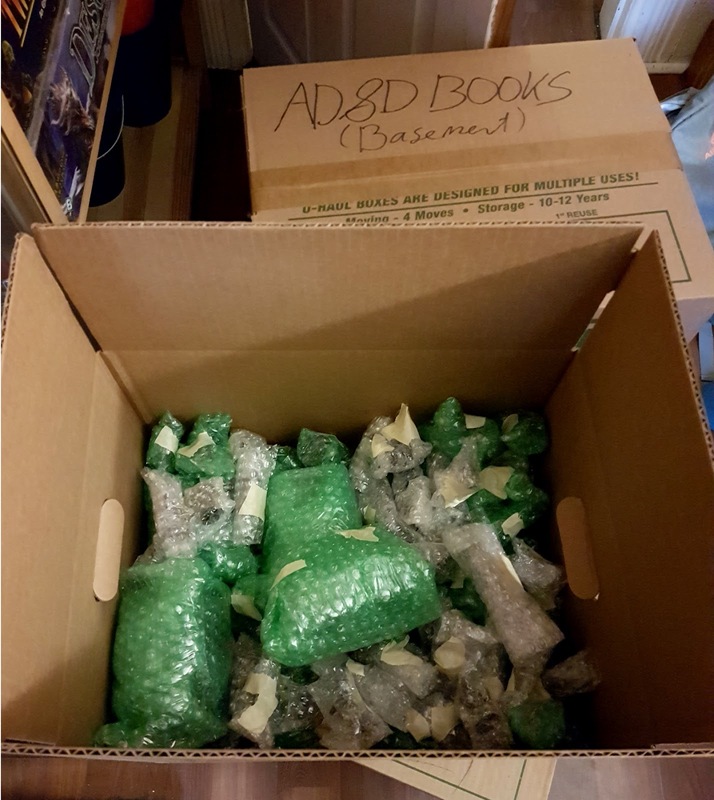 After hosting the JADE headquarters on Gerrard Street East in Toronto for the passed five years, my wife and I are packing it up and moving about 45 min North to town of Newmarket. We needed to a bigger space as our lives continue to grow, and Toronto is just too damn expensive these days. So back North we return to around where we grew up. For JADE this means we are taking a bit of a break as I get everything sorted and settled in my new place. It also means that I now have a basement with a designated gaming area! For too long we have been crammed into apartment living rooms, and my far too small home office. Now we'll have the room to stretch out, set up a couple of gaming tables and really get into the tabletop games in a major way! I'm think way more scenery and terrain for the table, or even a custom D&D gaming table. 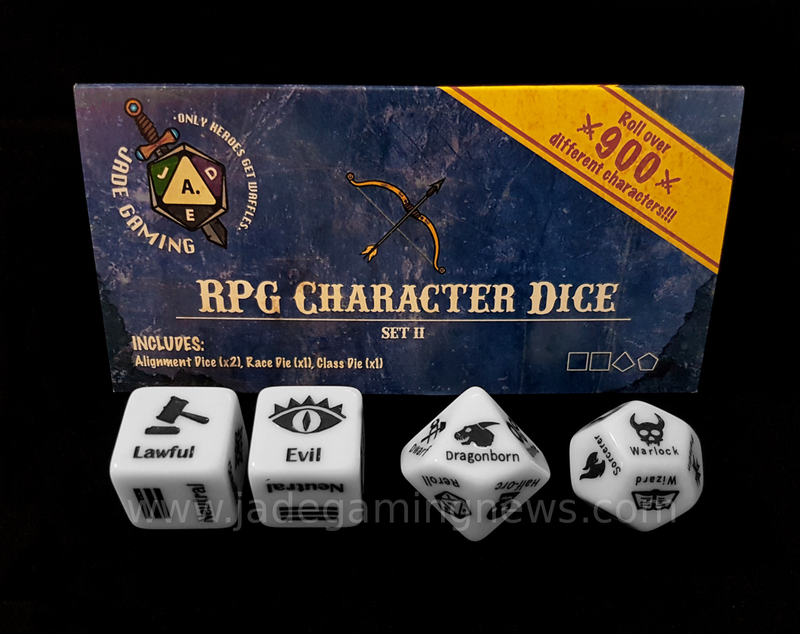 As for the dice, for the next week or so we will not be doing any shipping, however we will get back to fulfilling orders as soon as we can! And we will be back with a new space, new games and more friends to play with! I'll try to post a couple of things here and there over the next week and I promise I will post some pictures of my new space once we are ready to go! Until then wish me luck and I will talk to you all soon!